Wanting a change from nursing after working across Australia and with the Inuit in the Canadian arctic, Di Schulze made the decision to take over the running of Countrywide Cottages in 2005. Since then she has created a family friendly as well as genuinely Otways pet friendly accommodation destination. In addition, her warmth and hospitality has been bringing guests back time after time. Your dog will love the open spaces, the bush walks or perhaps a dip in the dam! Provided with a cosy bed, blanket and bowls, home-made dog treats and fresh rain water, the 4-legged members of your family will find themselves well and truly at home! Modern well-appointed self contained cottages Otway Ranges, bush walks from your door, bonfires out the front, yabbying in the dam, playing pool in the recreation room; settle in at your cottage for your stay or head out and explore all the region has to offer. 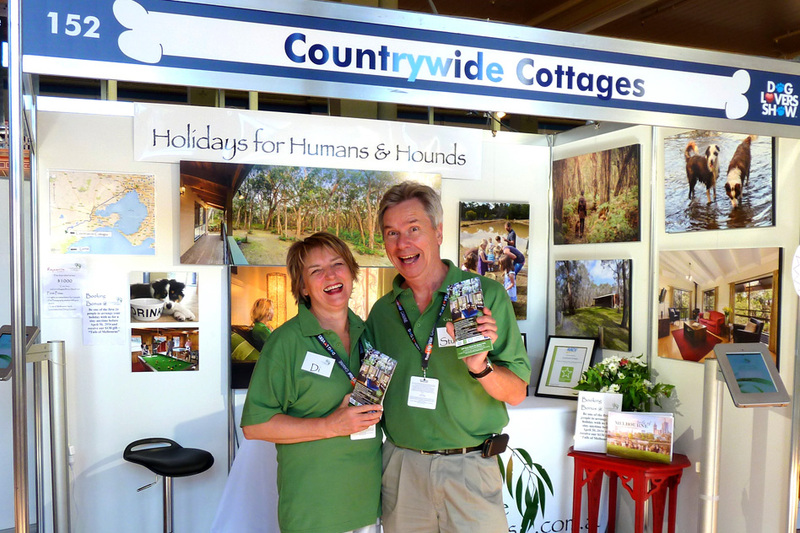 Contact Us to find out about Countrywide Cottages today or to book a holiday your whole family will enjoy!